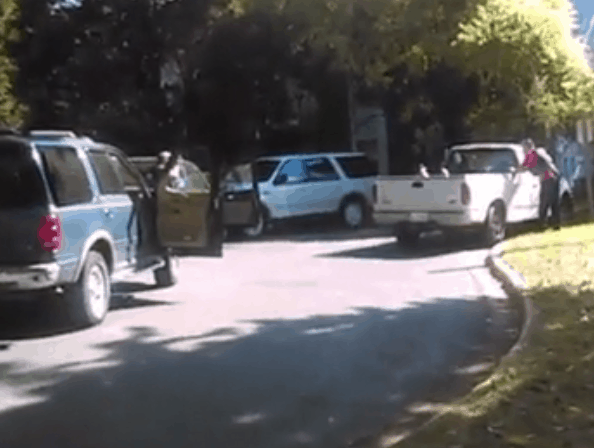 The family of Keith Scott has released disturbing cell phone footage of his deadly encounter with police. The video is frantic, and it’s not clear what is happening inside the vehicle or around it when Scott exits. Mrs. Scott yells “Keith, don’t you do it!” several times before several gunshots are heard. The Charlotte Police department also has footage of the encounter, but has refused to release it, citing an investigation into the shooting. They have said that Scott was shot because he posed an “imminent, deadly threat” to the officers on the scene, and have said he had a gun.